Next in my series about preparing for Spectrum FAL. 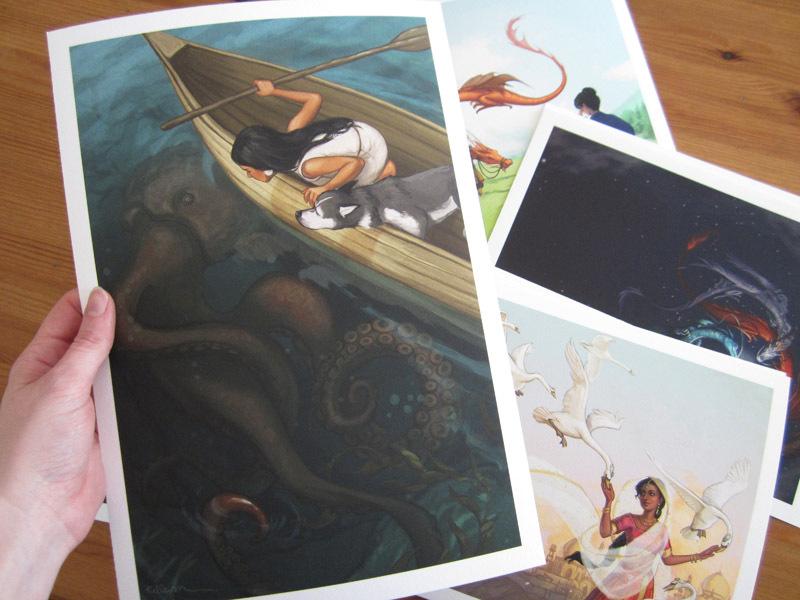 So far I have postcards and an art booklet to sell at the show; next I wanted to make some prints. So far this is the only aspect of my preparations that has gone smoothly. In art school I either printed my art at home, or used OfficeMax. OfficeMax is surprisingly good considering it's only about $.60 per print; however, they're just photo prints. For a show like Spectrum I wanted archival prints on fine art paper. After some Googling, I discovered Finerworks, which has excellent prices and several types of matte fine art paper. They also sell plastic sleeves for the prints, which is awesome. 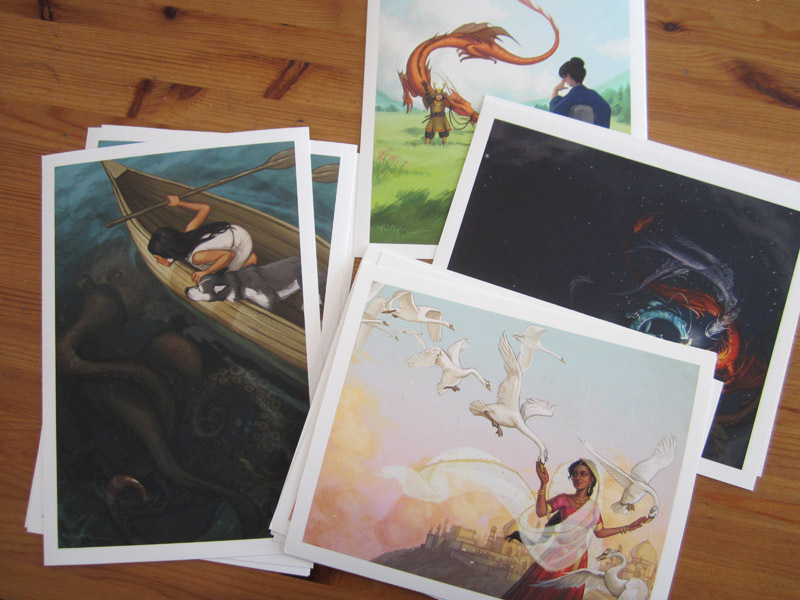 I chose four of my most popular illustrations and ordered four copies of each. Meanwhile, my postcards and booklets arrived in the mail, mostly too dark. That's when I learned that I should always lighten my work before printing, but alas, my prints order had already been shipped. Great. Another Kelley fail. The prints arrived quickly and to my great relief, they look excellent. 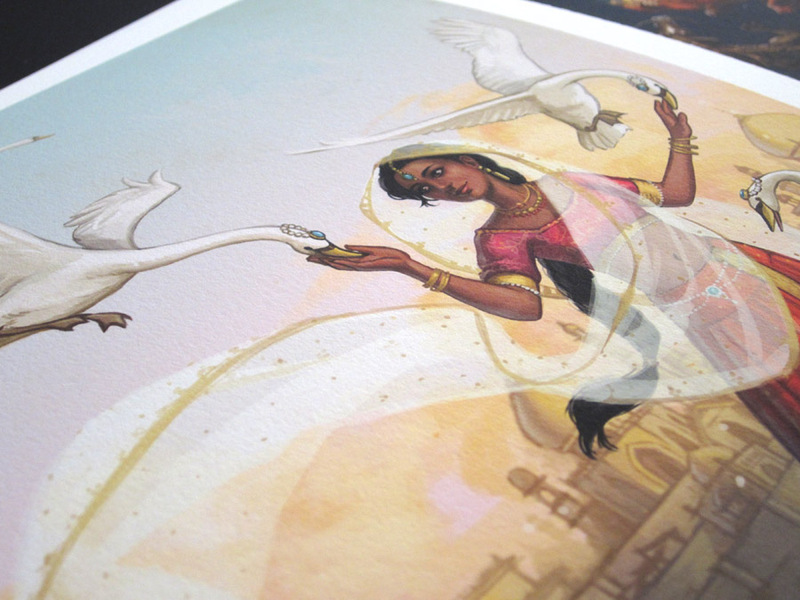 The matte fine art paper has a subtle texture which really makes the prints look and feel special. Only one more week until Spectrum! My next task is to matte some original pencil drawings and start putting together my table display. I want one of the tentacle ones! Thanks Eric! Which day of SFAL do you plan to be around? Lots of good advice in this post! lightening your work before printing is something I had to learn the hard way too. I always just get prints from Costco (they're pretty good actually) but I'll have to try Finerworks. Thanks Kevin! I don't have a Costco membership but I've heard good things about Costco prints from other people as well.